Colibri® is an early-season Southern Highbush with very low chilling needs of about 200 hours. It produces large quantities of pollen and is self-fertile. The overall quality of its fruit is excellent. The berries have a neat stem scar and their Brix-to-acid ratio is high. 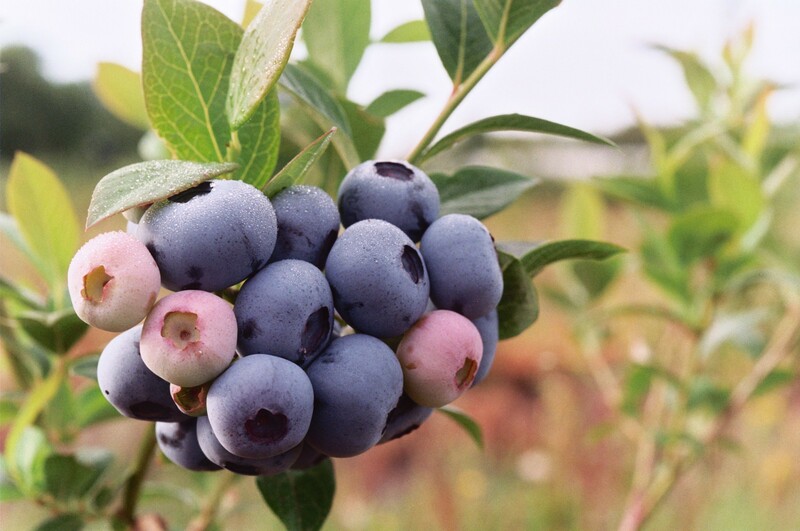 Fruit are considered to be of a good size (between 2.5 and 3 grams per berry) and conserve their light blue bloom after harvest. The upright shape of the plant and its spread-out fruit make for easy picking. Half of its fruit are generally picked before the Star variety bears fruit. Three stages of harvested are generally required. The Alixblue™ cultivar was developed in 2012 by Arlen Draper for the US Department of Agriculture (USDA). 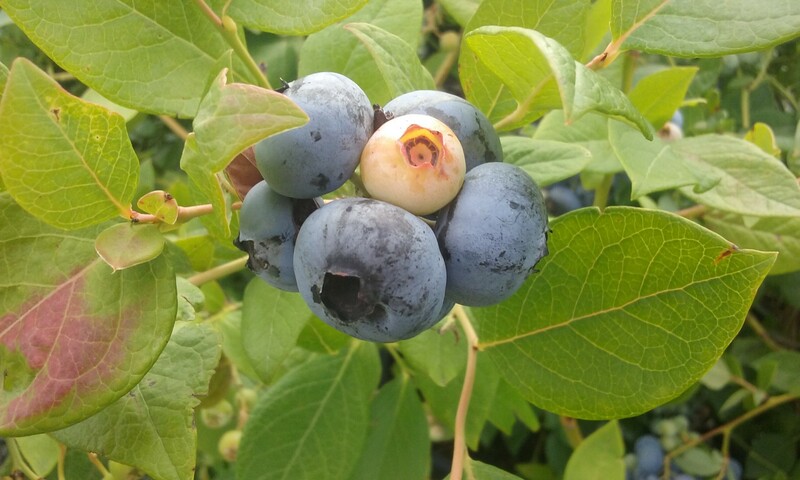 It has retained the qualities of each of its parents (the Bluecrisp and Magnolia varieties), combining firmness, good-sized fruit and quality of flavour. Alixblue™ also shows excellent vigour and 50% of the crop usually ripens a few days before the Star variety. Tests performed by breeders have shown it to be very productive. In every year of assessment, it yields higher than the Star variety, and has lower chilling requirements (estimated at about 400 hours by the breeder). In initial tests in a region with no real cold season, the fruit set was good. 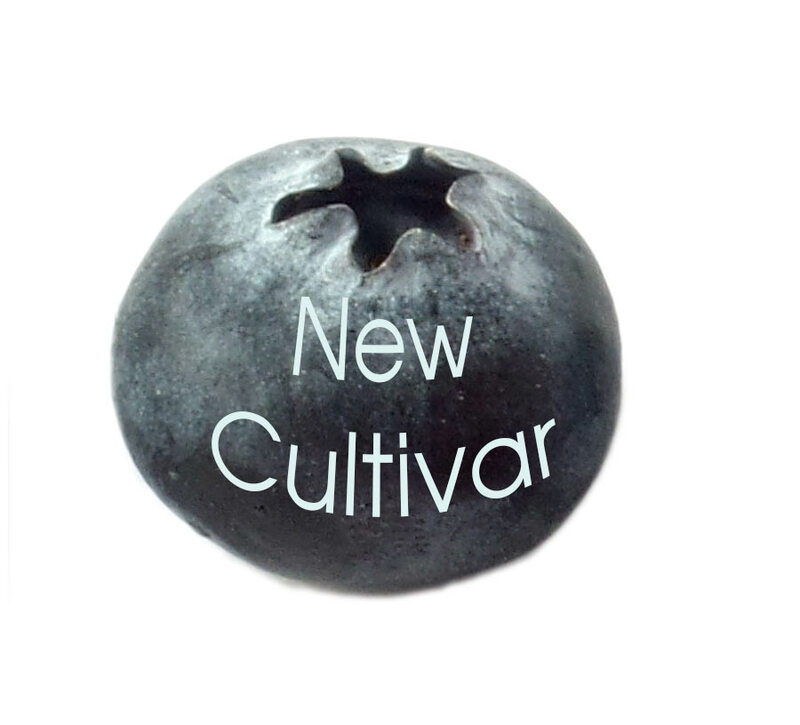 The New Hanover® cultivar was developed by Jim Ballington for the University of North Carolina. New Hanover® is a mid-season variety requiring 500-600 hours of chilling. It produces remarkably high yields, but that is not its only advantage: the quality of its fruit is also excellent, both in terms of firmness, size and flavour, and shelf life is very good. Hand harvesting is recommended for this variety. Gupton is a new cultivar from the US Department of Agriculture (USDA). The bush has an upright shape and is very productive. Its chill needs are probably lower than the 400 hours estimated by the breeder. In initial tests in a region with no real cold season, the fruit set was good. “Half the crop” is ready to harvest a week after the Star variety ripens. Gupton bears large, light blue fruit which is sweet and very firm. Tests performed by breeders have shown it to be very productive. In every year of assessment, it yields higher than the Star variety. Ozarkblue® is a “hybrid” cultivar combining characteristics of both the Southern and Northern Highbush. It was developed by the University of Arkansas. It is a versatile variety that can be planted in very different latitudes. The bush is vigorous, and hardy, producing large, light blue fruit with top-class flavour. The firmness and shelf life are remarkable for fruit of this size. 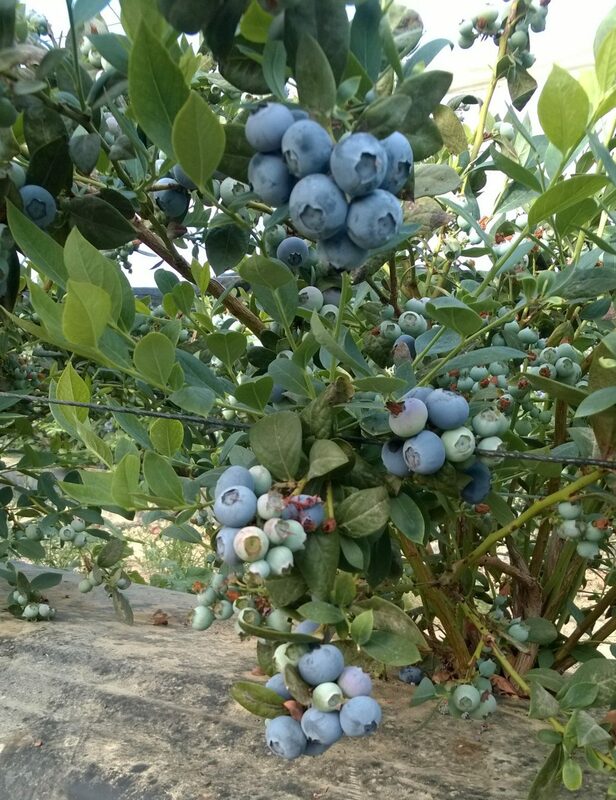 When planted in the right place, with good cross pollination, Ozarkblue® is a very productive variety.